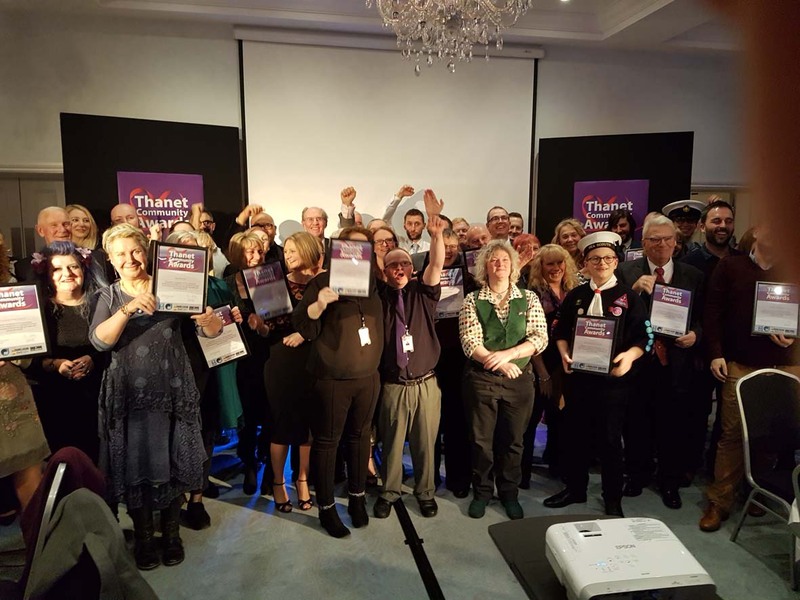 Kent-based PR and marketing agency Maxim got a closer look at the contribution voluntary groups make to society when they were guests at the inaugural Thanet Community Awards. Sponsored by Maxim client London Array offshore wind farm in partnership with Westwood Cross shopping centre and local newspaper Thanet Extra, the awards attracted more than 130 nominations. The initiative culminated in a celebratory dinner for more than 100 people at the Yarrow Hotel in Broadstairs, where the sponsors presented prize money and certificates. 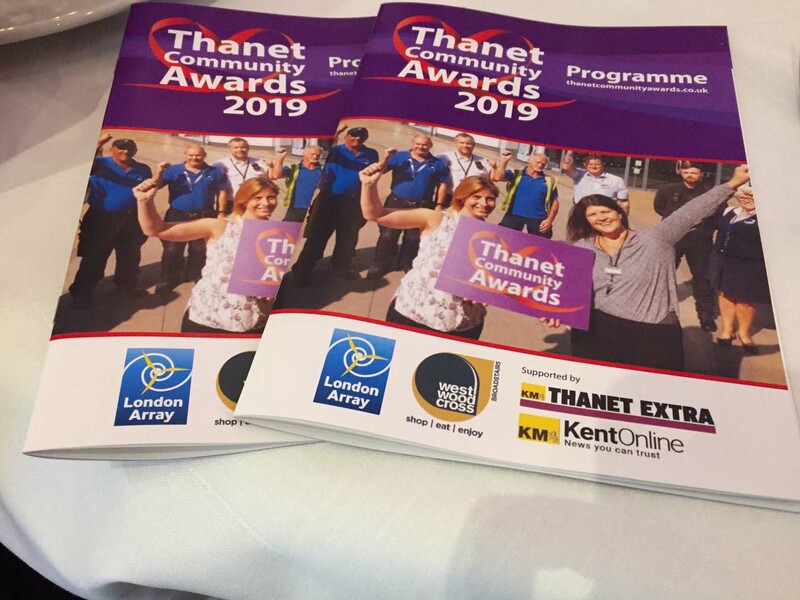 Maxim negotiated London Array’s involvement with the awards with the Kent Messenger Group’s Charity Team, which organised and publicised them. Erica Jones, Account Manager at Maxim, said: “Community engagement can be an important part of building an organisation’s local reputation but needs to be done in a way that brings the most value to all involved. Award-winning ITV journalist Nina Hossain will be hosting this year’s Kent Press & Broadcast Awards (KPBA) ceremony. 2019 sees Royal British Legion Industries (RBLI) celebrate 100 years of improving lives every day, and Maxim has been recruited by the military charity to help mark the milestone. From walking to running, Erica Jones, Account Manager at Kent PR and marketing agency Maxim, explains how a lesson learned at work has led to a very personal success. Taking the opportunity to meet with other business owners, Andrew Metcalf and Philip Jones joined more than 90 people at a recent Kent Business Leaders’ Dinner. For this year's Christmas competition we decided to get a little creative again, recreating some of our clients in miniature. As a board director of Kent Invicta Chamber of Commerce, Maxim’s Andrew Metcalf presents at the monthly Kent Construction Focus Group (KCFG), the highly successful group that promotes the economic wellbeing of local businesses in the sector. As a leading Kent PR, marketing and public affairs agency, Maxim’s role often involves working in partnership with our clients’ stakeholders. University of Exeter graduate Mary Dewar explains her week’s introduction into public relations at Kent-based PR and marketing agency Maxim. A selection of tweets from the Kent Press & Broadcast Awards ceremony, held at The Spitfire Ground St Lawrence, Canterbury. Awards have been presented in 15 categories to recognise the efforts of print, broadcast and digital journalists at this year’s Kent Press & Broadcast Awards (KPBA). Maxim has signed up to support a 2,000 mile charity bike ride from Rye in East Sussex to Syracuse in Sicily this September. The Kent Press & Broadcast Awards' sports award has been renamed in honour of BBC South East's reporter Neil Bell who died earlier this year. Nominations are now open for entries into the Kent Design & Development Awards 2018, and PR and marketing agency Maxim is proud to be a headline sponsor. In his capacity as a director of Kent Invicta Chamber, Andrew Metcalf chaired the recent West Kent Economic Development Group, which brought together many important and influential businesses from across Tunbridge Wells, Tonbridge and Sevenoaks. A panel of expert judges has shortlisted 60 finalists in 15 categories for the Kent Press & Broadcast Awards (KPBA) 2018. At Kent PR agency Maxim, the staff are well aware that office dog and Chief Morale Officer Alice Knight is the most popular member of the team. Now it seems it's been proved as she appeared on prime time TV. The Kent Press & Broadcast Awards (KPBA), the not-for-profit scheme established and run by Kent PR agency Maxim, was recently shortlisted for a national award. An award for Kent awards scheme? The Kent Press & Broadcast Awards (KPBA), a not-for-profit scheme established by Maxim, has been shortlisted for a national award. Simon McCoy, dubbed as ‘everyone’s favourite rogue newsreader’ by the Telegraph, will be hosting this year’s Kent Press & Broadcast Awards (KPBA) ceremony. Maxim has helped engage with business and secure strong media coverage for the latest design for the new Lower Thames Crossing. Maxim helped secure national media coverage for client Markerstudy Leisure and its venue Bewl Water when Sir Malcolm Campbell’s restored Bluebird K3 was rolled out for a public test day. The Kent Press & Broadcast Awards (KPBA), a scheme organised by Tunbridge Wells-based PR and marketing agency Maxim, will be going ahead for a fourth time. Print, broadcast and digital journalists, as well as photographers and designers, were recognised in 14 categories at this year’s Kent Press & Broadcast Awards ceremony. Social media is an important part of the Kent Press & Broadcast Awards ceremony. Relive the day via some of the best tweets. Find out how people reacted when we announced the shortlist for the Kent Press & Broadcast Awards 2017. Fourteen categories, 129 entries and six judges - the #KPBA finalists have been announced. Award-winning television and radio broadcaster, writer and journalist Gavin Esler will host this year’s Kent Press & Broadcast Awards ceremony. If you could take someone who annoyed you to court with no fear about the costs, would you do it? Andrew Metcalf, director of Kent PR and marketing agency Maxim, considers the potential consequences of Section 40 on the nation’s media, including the county’s own regional press. 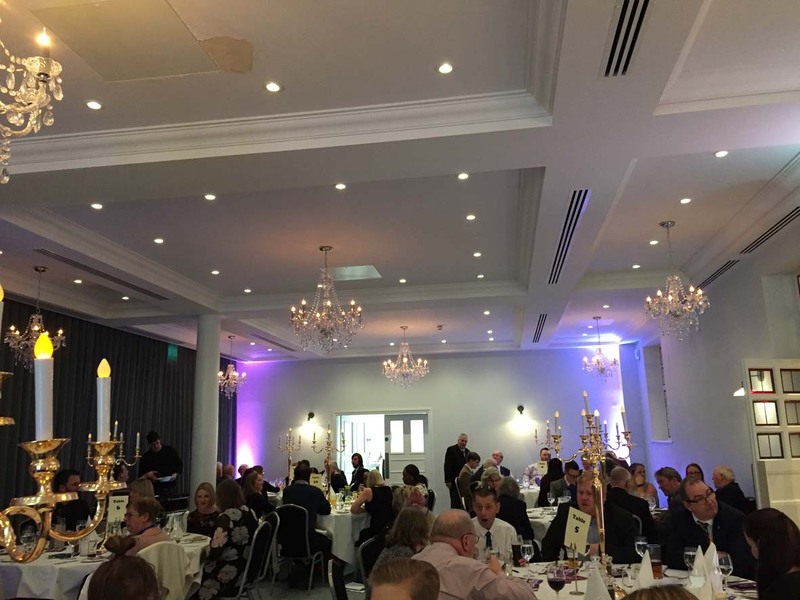 More than 100 guests gathered to celebrate the best of the county’s media at the second Kent Press & Broadcast Awards ceremony. The best of the tweets using #KPBA before, during and after the Kent Press & Broadcast Awards ceremony. The search is now under way to find the winners of the Kent Design & Development Awards 2016, and PR and marketing agency Maxim is proud to be a headline sponsor. The public consultation into the proposed new Lower Thames Crossing could have a big impact on the future of infrastructure in the South East. Kent PR and public affairs agency Maxim was involved in the campaign to encourage the business to community to have their say. See how the #KPBA finalists reacted when we announced the shortlist. Proving journalists love an impending deadline, 57 per cent of the 147 entries for the Kent Press & Broadcast Awards were submitted either the day before or on the closing date for submissions. How can small businesses build a strong reputation in the media? Andrew Metcalf, director of Kent PR and public affairs agency Maxim, will be sharing some of his knowledge on building a reputation in the media next week. Journalist and broadcaster Cathy Newman will host this year’s Kent Press & Broadcast Awards ceremony in July. PR isn’t all late nights and parties, and when it is they’re not quite as glamorous as you’d expect. Maxim PR senior account executive Erica Jones dispels the myths. Ex sub-editor Erica Jones of Kent PR and marketing agency Maxim looks at the different way press, client and calendar deadlines impact upon workload. This year PR and marketing agency Maxim will be taking part in the World’s Biggest Coffee Morning in aid of Macmillan for the first time. In honour of National Dog Day, Alice Knight, a Havanese puppy who lives with Maxim account director Rachel Knight, describes her role as Chief Morale Officer at the Kent PR agency. During the Kent Press & Broadcast Awards Ceremony the hashtag #KPBA consistently trended at number 8 in the UK on Twitter, reaching some 488,000 accounts. The inaugural Kent Press & Broadcast Awards were a resounding success, now the trophies have been presented Kent PR agency Maxim can reveal the winners. It wasn't just the pollsters who were caught out when it came to predicting the outcome of the General Election. It’s clear that many people in Kent found it difficult to call if the results of Maxim’s recent competition are anything to go by. Maxim is a finalist in the first Kent Digital Awards which organisers say received ‘an outstanding number of entries. Are you a budding Peter Snow and able to predict the result of the General Election? As an agency which helps many of its clients understand the political landscape, we thought it would be a fun for us all to try to predict how the public will vote in Kent – with the added incentive of the chance to win a case of Chapel Down wine. It’s important for businesses to shout about their achievements which is why Kent PR agency Maxim encourages clients to get involved in award schemes. Account Director Andy Rayfield explains our role. More than 100 individuals submitted 143 entries to the first Kent Press & Broadcast Awards, a scheme that celebrates those working in the media. Veteran broadcaster Peter Sissons will be the host of the first Kent Press & Broadcast Awards ceremony. Maxim’s Andrew Metcalf has teamed up with Chris Price, the KM Group’s business editor, to present a workshop at the West Kent B2B exhibition and conference. Three prime ministers, an oversized lion, Manchester United, the world’s most powerful offshore wind farm, the country’s first Angry Birds theme park, hungover England rugby players, cocktail cherries and a campaign for Vatican reform. Maxim’s 20 years have been varied, enjoyable and challenging. As we all know, Kent, and in particular Thanet South, is going to be in the media spotlight as the clock ticks down to the General Election. As an agency, the team at Maxim spends a lot of our time supporting clients in East Kent and taking the political temperature is part of our daily work. Philip Jones, Director of Kent PR agency Maxim, looks at how times have changed in the life of the humble press release – and how they haven’t. A new Economic Development Group for West Kent is being set up to represent the views of local businesses in Tonbridge, Tunbridge Wells and Sevenoaks. Congratulations to Mark Anderson, who completed our Christmas competition and won the star prize. Three Kent organisations have pledged their support for local journalism by sponsoring a new awards scheme for the county’s media. Having been asked to join Kent County Council and DHA Planning as one of the major sponsors of the 2014 Kent Design and Development Awards, it’s great to report that they were a roaring success and showcased the many excellent construction projects taking place across the county. This week marks Erica’s year anniversary at Maxim, so she’s been looking back at her first few days and the range of experiences her now not so new career entails. An 18MW solar farm has been given the go-ahead at Orchard Farm in Iwade, Kent. Maxim was appointed by GH Dean & Co Ltd, the company behind the project, to assist with taking it through the planning system in Swale. We all know ranking high on Google is good for business, but having a good enough website to keep prospective clients – and the work capability to live up to your promise – are equally important. Fortunately, Maxim had all three when we recently landed a little project with a big name. Maxim is launching a new awards scheme for the Kent media. After more than a decade in newspapers Erica Jones thought she’d miss the excitement of a print deadline whooshing by. Then she was given the task of helping to produce The Summer Times – the perfect opportunity to utilise the skills of her previous career for the benefit of a client. As a headline sponsor of the biannual Kent Design & Development Awards Maxim has created a website to raise awareness of the competition. No matter how enthusiastic you are about the development world, few people have the time to read all the relevant news covered in the local and national media. Maxim is joining forces with some of Kent’s leading players in the built environment and development industry to help deliver the Kent Design & Development Awards 2014. A ballroom dancing enthusiast aims to keep things strictly professional as she joins the Maxim team. Promoting a UK technological first, showcasing sustainable school buildings and securing the support of Mayor of London Boris Johnson is all in a day's work for Maxim. Kent knows it is now connected to the world thanks to new twice-daily flights from Manston Airport to award-winning hub Schiphol, in Amsterdam, with Maxim playing its part by working with the county’s media to shout about the good news. There are occasions in an agency’s life when all the hard work you put in is more than worth it. Recently Maxim had one of those moments - read all about it here. The tireless efforts of Maxim's Delphine Houlton have been recognised at Visit Kent's recent 10th birthday celebrations. The UK’s first Angry Birds Activity Park has been launched, attracting worldwide media coverage. More than 100 of the world’s major media outlets covered the launch of Angry Birds Activity Parks recently, making it one of Maxim’s most successful projects to date. It is often the case that in business, as in life, the seemingly little things you do can make all the difference. Those who foster good relations with their neighbours or go out of their way to engage with the public are often rewarded with a raised profile and reinforced reputation. This week marks 10 years since Rachel Knight joined Maxim. She takes a personal look at the top ten most notable things that have changed during her time at the company. Formed in 1995, Maxim is one of the South East’s leading PR and marketing agencies, bringing together former journalists and highly experienced communications experts. We offer media relations, public affairs, community relations, corporate communications, reputation management, event management, public relations, stakeholder management, marketing and more. One of the best ways to get to know Maxim and the work we do is to connect with us on your preferred social media platform. Got a question? Ask away.